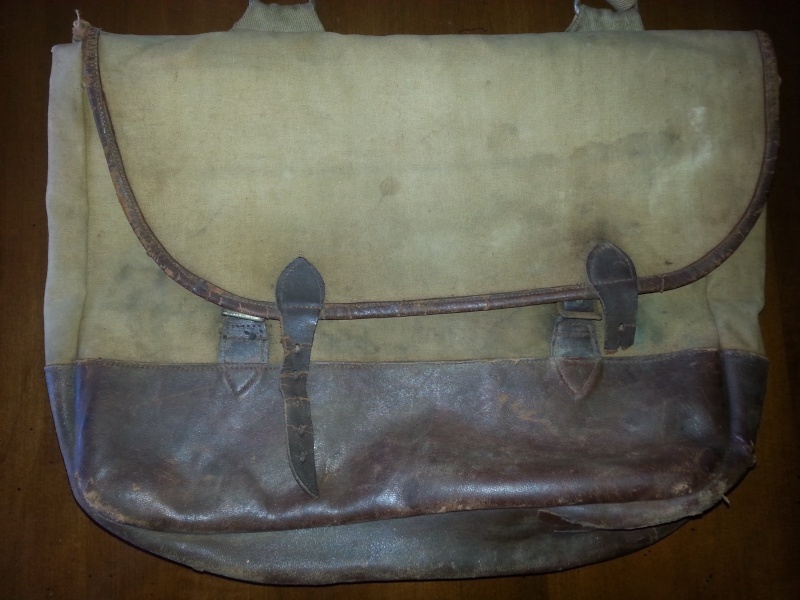 First War Officers private purchase Haversack. 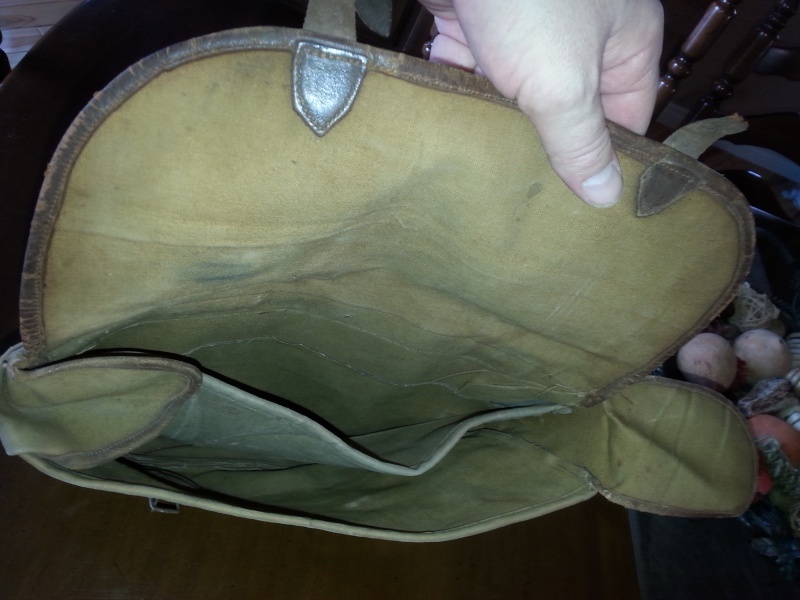 Condition will rate a good as the leather off one of the straps is broken and one of the buckles is damaged. Came from a Canadian officers estate in Quebec. Only marking a not identified "C". Yes indeed, but the strap was deferential and typical made in USA. Oh wow, cool! I didn't know that was the difference! 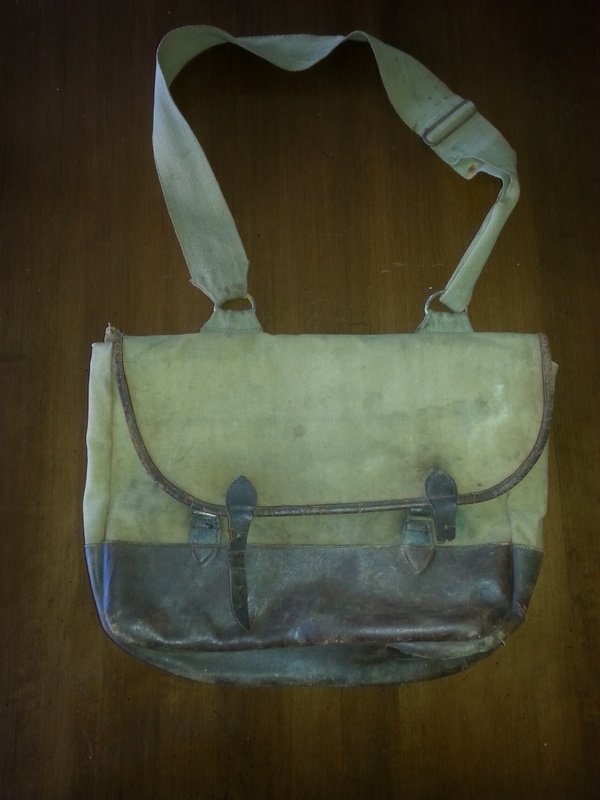 Thanks for explaining and posting the additional pictures (is that haversack also from your collection?). From my experience, Canadian Haversacks had both types of straps. If you wanted to put the haversack on your Sam Browne rig you would get the haversack with clips; if not, you would use the other that would go over your shoulder and chest. That 'Broad Arrow' US stamp would cause me some concern. I have seen this broad arrow US stamp on several haversacks that were made in England for US officers. Many US pattern hats and tunics were made in England and are WD broad arrow marked. Dealers often mistakenly describe these items as British. 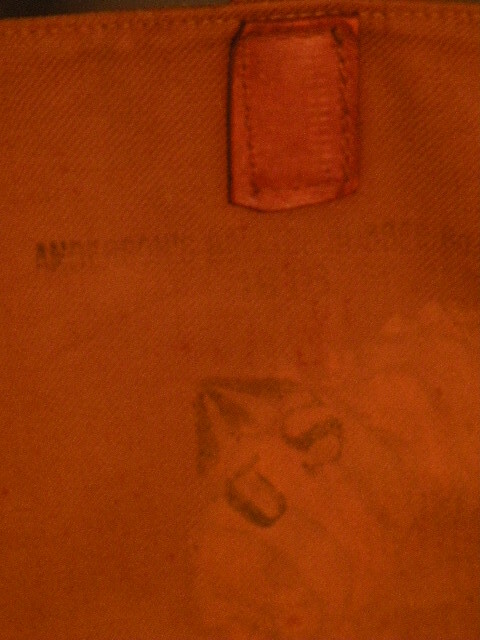 I agree that British made ordnance supplied US military clothing and equipment items do contain a broad arrow stamp, but this Broad Arrow US stamp on an Officer's Haversack gives me the impression that it was added latter to enhance the sales potential. 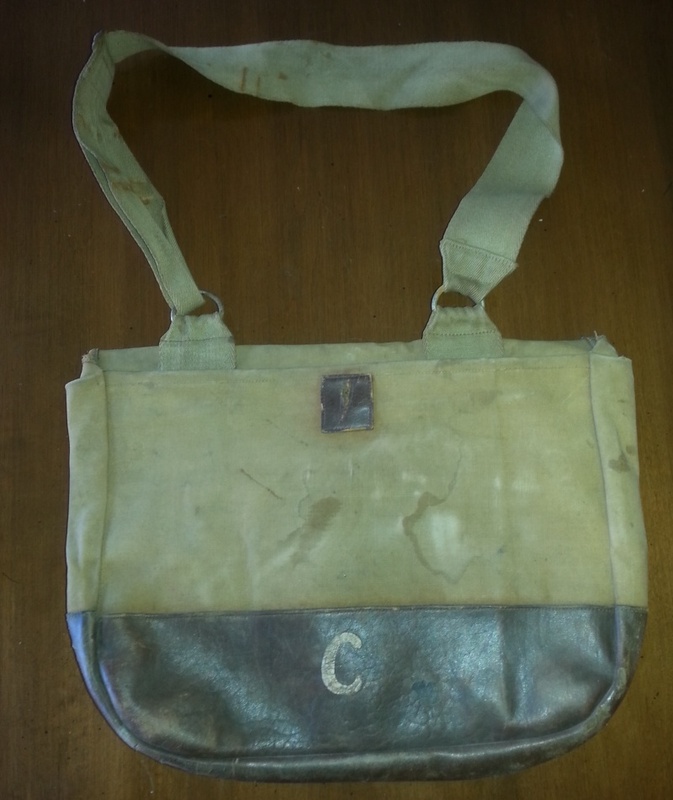 As well Officer's clothing and equipment, such as this Haversack, were private purchase items and therefore were not subject to ordnance acceptance and stamps - so why would this particular item contain such a stamp? I'm not really sure. I would hypothesize that there was a "Lend Lease" type agreement in place and perhaps haversacks were part of the issue. I am sure that the broad arrow US stamp (Perhaps not for this haversack) is a genuine marking that appears on various WWI US kit. Here are a few threads on a US Militaria forum that shows some similar marks. That Broad Arrow/US stamp could well indeed be legitimate, but for me at least, it does cause some concern. 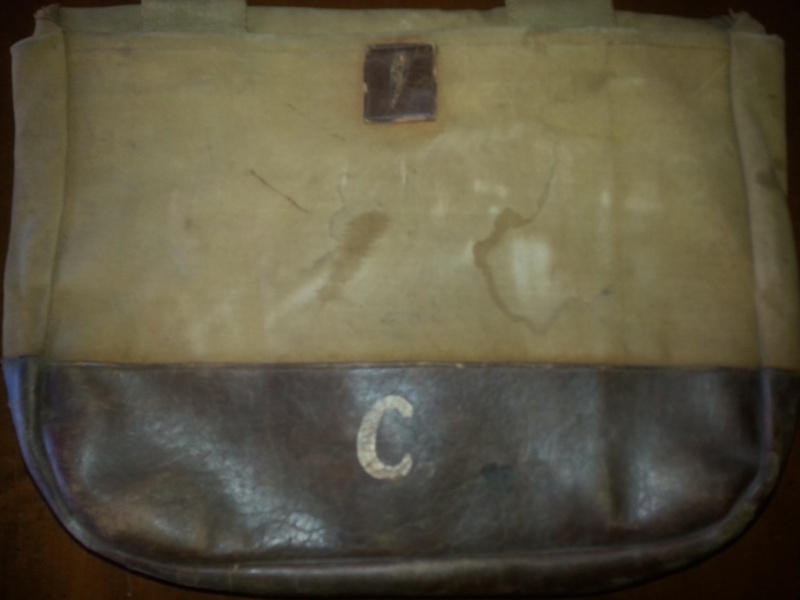 The problem with using other forum posts is that neither thread discussed in any great depth the actual markings, nor did any of the collectors really seem to grasp why a US Officer would be using a British disigned Haversack. 'Lend/Lease' was a WWII program although I do believe that during WWI there was some for of reciprocal agreement in place between the UK/US in which some items of US clothing were manufactured in the UK. My knowledge on WWI US clothing and equipment is quite limited so I would certainly turn to someone with more experience and knowledge in this field to perhaps give some advice. WWI markings are always tough given the scarcity of extant examples with legible markings for comparison! It took me forever to correctly identify the markings on a P14 haversack in my collection. Thanks to jholl72 posting photos of his WWI webbing, I was able to figure out that my haversack was made by Waring & Gillow, Ltd. I agree. Even though the exact meaning behind the Broad Arrow US markings on the bags illustrated is not exactly known, in my opinion, it is still an original marking that can be found on US WWI gear that was manufactured in the UK during the later part of the War. As Ed has stated it would be nice to get some clarification from a US equipment collector who has more info on this stamp.